PRIZES: A total of nine (9) prizes will be offered in the Sweepstakes. One (1) Grand Prize and eight (8) First Prizes. 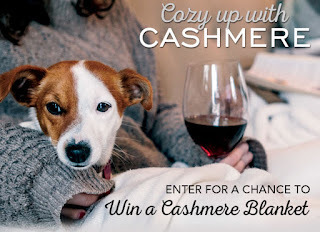 One (1) Grand Prize Winner will receive one (1) premium cashmere blanket. Approximate Retail Value (“ARV”) of Grand Prize is $500. Eight (8) First Prize Winners will each receive one (1) cashmere scarf. ARV of First Prize is $100.